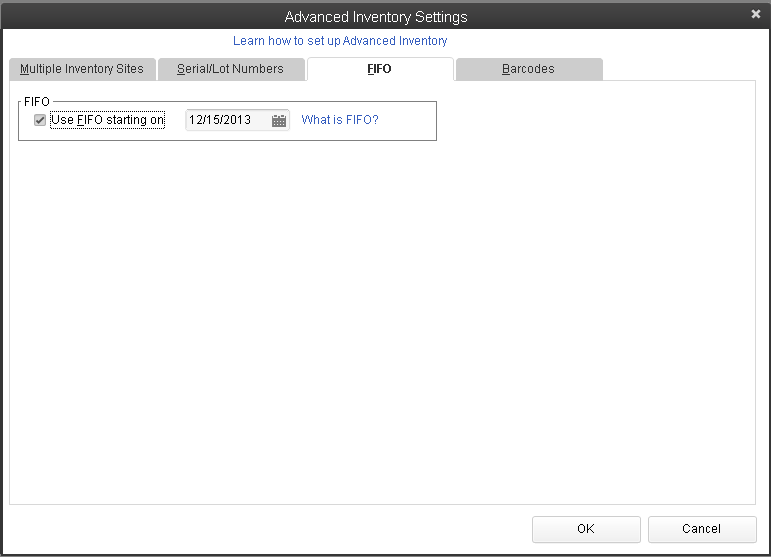 Advanced Inventory1 can track specific inventory items down to the bin location level within one or more warehouses. 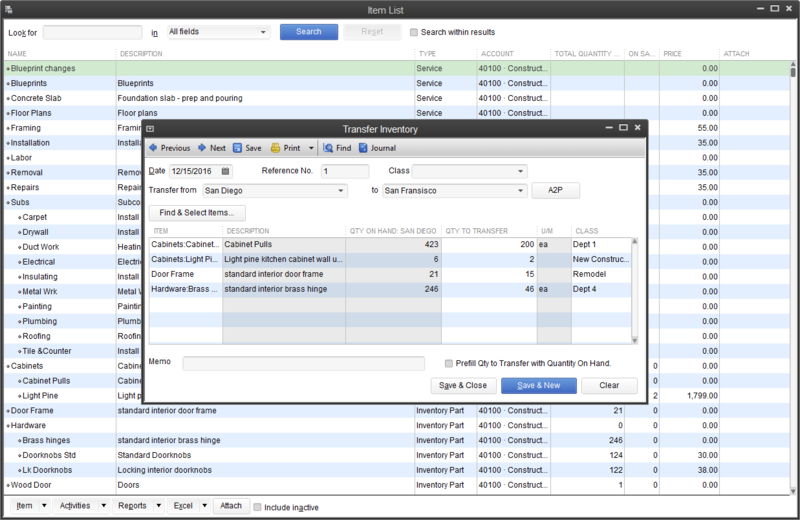 When filling out forms, automatically see quantities and serial or lot numbers for each bin. Sort pick lists and item receipts by location for efficient picking and stocking. 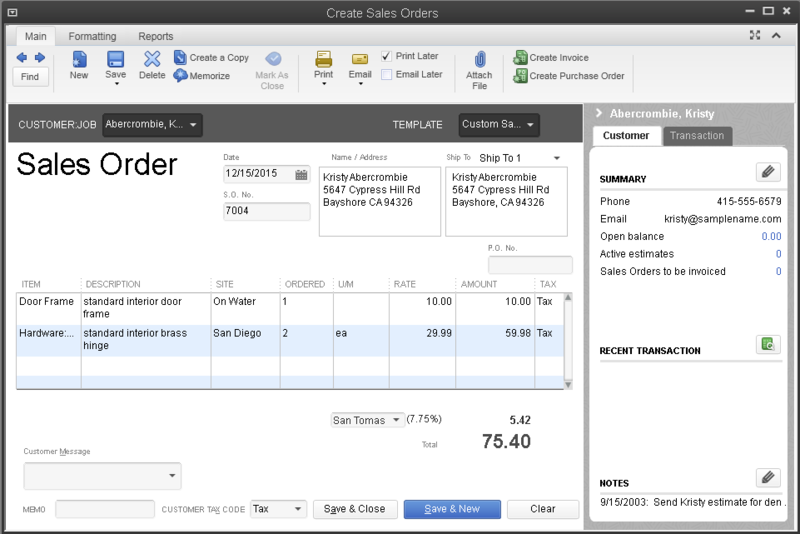 Increase efficiency and reliability for all inventory data entry by scanning items and serial numbers without touching a keyboard — QuickBooks automatically puts the information into the right field. 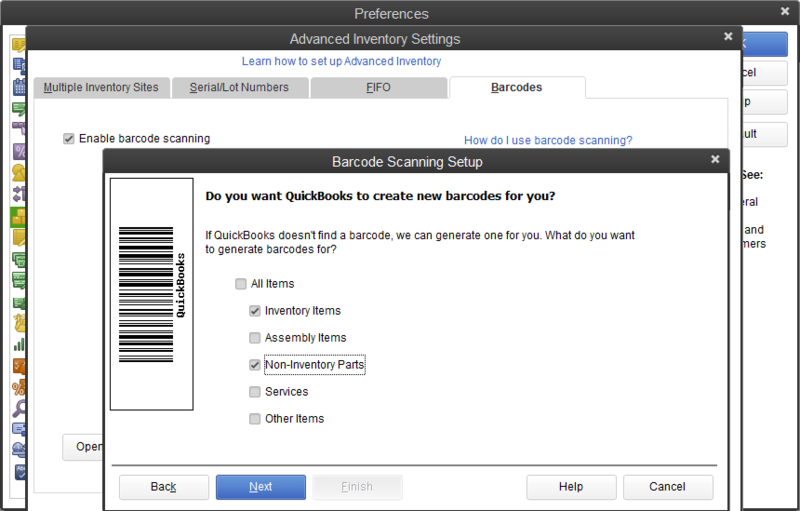 If you don’t have barcodes, QuickBooks will create them for you. Integrates with any simple USB barcode scanner. 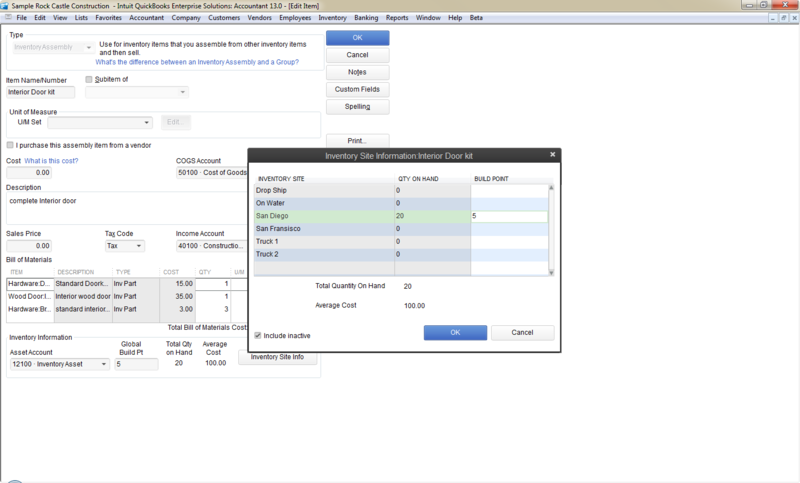 Now you have the flexibility to work in FIFO costing in addition to average costing for tracking inventory. Easily switch between costing methods whenever you want. 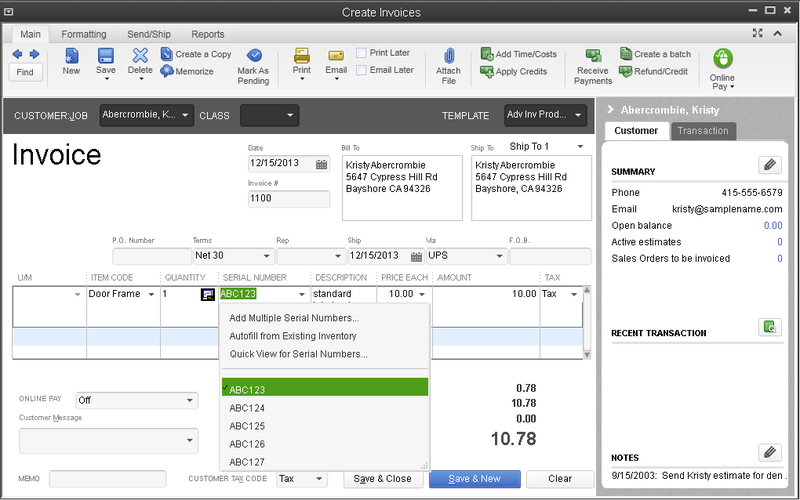 Conveniently track serial numbers or lot numbers right inside QuickBooks. Enter serial numbers and lots at the time of purchase, transfer, or sale – this means no extra data entry is required for reliable tracking. With the new recall report, you can track defective lots through assemblies and subassemblies, in stock on shelves, and customer purchases. For each location, you can see how many items are on hand, on sales order, on purchase order, and your reorder point… and QuickBooks will automatically calculate which items you need to restock. In addition to tracking inventory in multiple warehouses, you can track it in different staging areas within a single warehouse, on service trucks, and on consignment. You can even track imported goods on the water. Advanced Inventory is built right inside Enterprise Solutions with the same user interface, so you don’t have to install, learn and use separate software. 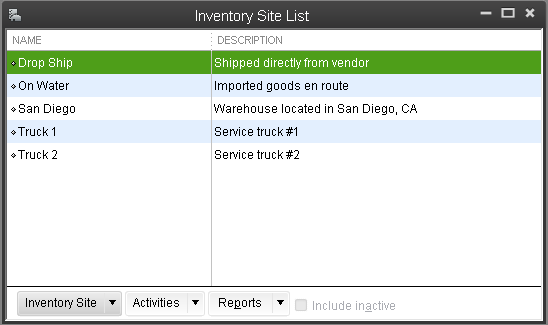 Your inventory data is tracked automatically from your QuickBooks invoices, sales orders and purchase orders.